Without documentation of a loved one's wishes, families often decline to authorize donation. By enrolling on the registry, your desire to donate is stored in a secure, confidential database. Should your death result in the opportunity for you to be a donor, an official record of your donor designation will be readily available and can be shown to your family. Thus, should you be medically suitable to donate, your wishes will be respected, and your family will be relieved of the burden of making a decision on your behalf. Who can enroll on the Joshua Abbott Organ and Tissue Donor Registry? The Joshua Abbott Organ and Tissue Donor Registry allows individuals to register their authorization to donate specific or all organs and tissues upon their death. If you are under the age of 18, you can register, but your parents or legal guardian will make the final decision about donation at the appropriate time. You should tell your parents or legal guardian your decision to enroll on the registry. Yes. Until registrants are 18 years old, their parents or legal guardian will make the final decision about organ and tissue donation at the appropriate time. No. Once you enroll on the Joshua Abbott Organ and Tissue Donor Registry, your donor designation grants authorization for donation to take place. Should you be in the position to donate, your next of kin or legal guardian will be presented with documentation of your registration. Does my age, pre-existing medical condition or sexual orientation prevent me from being a donor? Do not rule out yourself. The fact you want to be a donor is something to be celebrated, and we encourage you to register your decision. Age, most medical conditions or sexual orientation do not exclude you from being a suitable organ and tissue donor. In the event you are in a position to be an actual donor, medical specialists will evaluate your medical history to determine your suitability to donate. If you register online, the screen that confirms your registration displays your unique registration ID and password. If you register at the driver license office, your driver license number acts as your registration ID number. At any time, you may visit the registry website, click on Update My Donor Profile, enter your login information, then change your password, personal information, specify donation limitations, or remove your name from Florida’s registry. How do people in other states sign up? Is there a national registry? Registrations from out-of-state residents are accepted on Florida's registry and serve as an advance directive in accordance with Florida State law in the event one’s death occurs in this state. There also is a national registry, which can be found at RegisterMe.org. Additionally, the nation’s 58 organ procurement organizations make every effort to determine the registry status of each potential donor, even if they are not a resident of the state in which they pass away. I don’t want to register online. Is there any other way to register? In addition to online registrations, you may enroll on Florida’s organ and tissue donor registry when you apply for or renew your driver license or ID card at your local driver license office or tax collector's office. If you are unable to enroll online or via the driver license or tax collector's office, you can contact Donate Life Florida, and we will mail a registration form to you. I have an advance directive authorizing donation of my organs. Should I also register on the Joshua Abbott Organ and Tissue Donor Registry, or will the advance directive be enough? In Florida, enrolling on the Joshua Abbott Organ and Tissue Donor Registry is the only way to fully ensure your decision to donate will be honored. Due to the rapid and emotional nature of events surrounding sudden death, often times families do not have time to check legal documents prior to being approached about donation. However, since Florida’s organ and tissue donor registry is viewed in all potential donation cases prior to discussing donation with an individual’s family, we are able to share proof of registration with family members at the time donation is discussed with them. If you enrolled online, the screen that confirms your registration displays your unique registration ID and password. If you enrolled via the tax collector or driver license office, your driver license number acts as your registration ID number. At any time, you may visit the registry website, click on Update My Donor Profile, enter your login information, and then check the box to remove your name from the Registry. If you enrolled on the Joshua Abbott Organ and Tissue Donor Registry at the tax collector or driver license office and wish to cancel your registration, you need to (1) remove your name from the Registry and (2) remove the donor designation from your driver license or ID card. First, visit the Registry website, click on Update My Donor Profile, enter your login information, and check the box to remove your name from the Registry. At some point, you will also need to visit a tax collector office to purchase a new driver license without the organ donor designation. Verification of donor designation is only done through the registry database. Be sure to tell your family and friends your decision about organ donation. If anything does happen to you, your family members will be asked about your wishes. If you try to access your record, and it cannot be found, please allow time for the information to transfer. 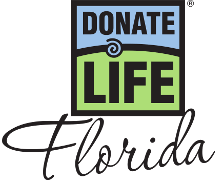 If after seven days you are still unable to access your donor profile, please contact Donate Life Florida at info@donatelifeflorida.org.